This story originally posted by the Arkansas Democrat-Gazette. 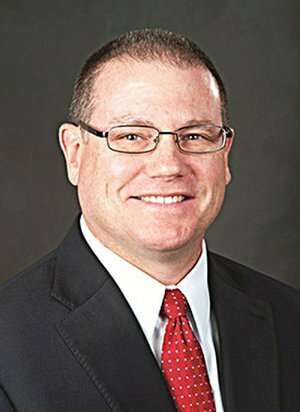 Chris McCoy will be the next chief information officer at the University of Arkansas at Fayetteville, the university announced Tuesday. McCoy holds a similar position at Metropolitan State University in Minnesota. He begins July 20 as UA’s associate vice chancellor of Information Technology Services and chief information officer. He replaces Dennis Brewer, who began serving as UA’s chief information officer in 2012. UA announced last year that Brewer would step down to return to a faculty position in UA’s Department of Mathematical Sciences. McCoy will earn $190,000 in annual salary. UA paid Brewer $189,206 for the same role. McCoy, who will report to UA’s provost and vice chancellor for finance and administration, was one of three finalists invited to campus in May for interviews and a public presentation. Noting the general trend of mobile technology, “We’re creating a learning-on-the-go environment,” McCoy said. He holds a master’s degree in business administration from the University of Iowa and a master’s degree in systems engineering from Iowa State University.